The existing dwelling was a collection of poorly constructed extensions built over a 70-year period, no longer fit for purpose. It failed to engage with the spectacular wild landscape of Alderney. 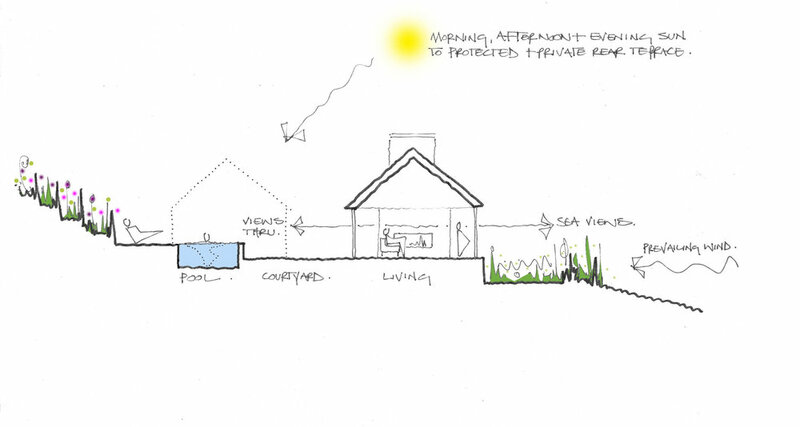 The brief was to design a new energy efficient, low maintenance house filled with natural light for a couple and their extended family when they visit. To meet strict planning rules, the property could only be 15% larger than the habitable footprint of the existing dwelling. The house is orientated to maximise the spectacular coastal views to the south of the site whilst retaining the sense of intimacy, set slightly into the hillside to the north. 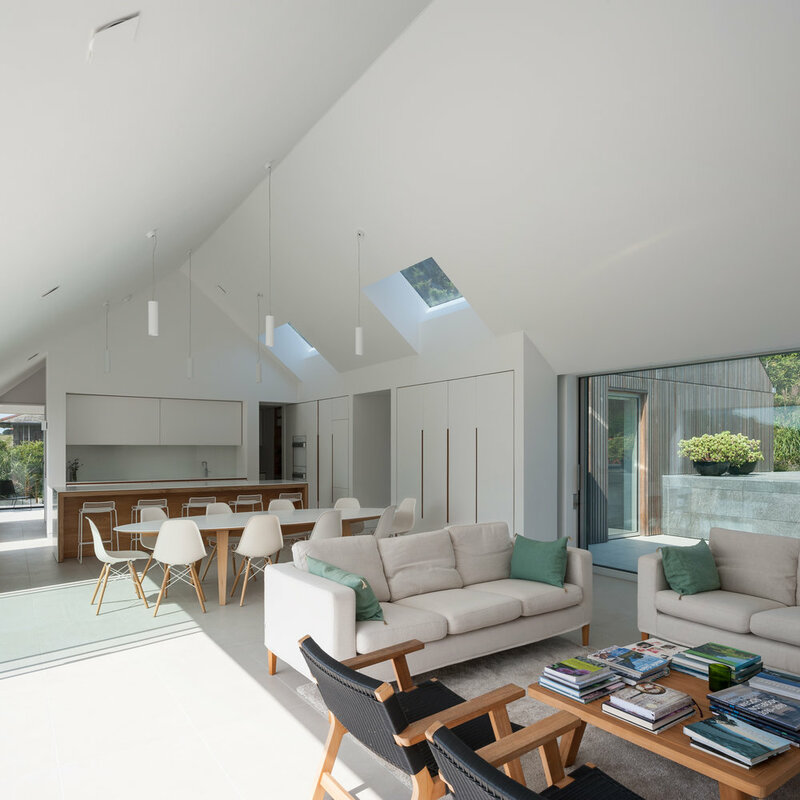 The design provides generous living spaces interconnected with the main bedroom located on the eastern side of the house and has a separate study to the western end. Additional bedrooms for family and friends are set within a separate building volume split from the main space by an entrance link corridor. 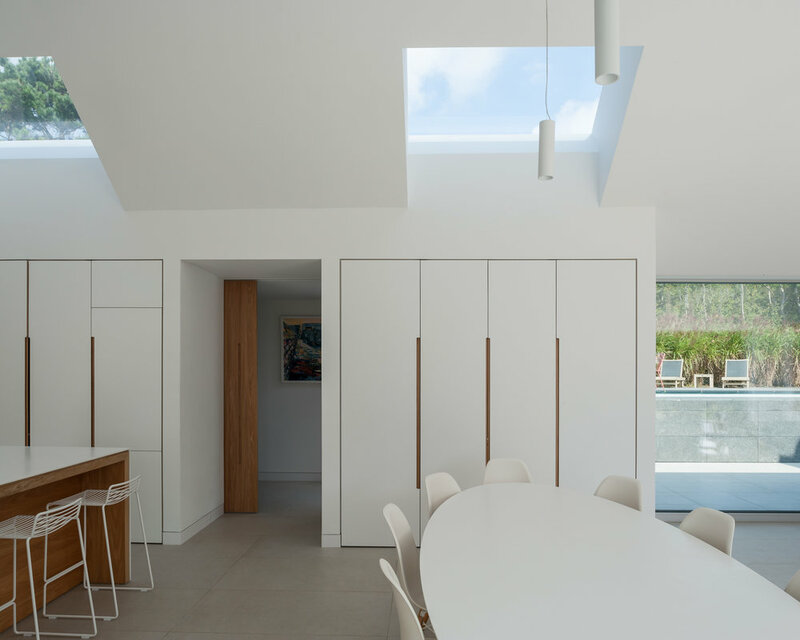 The vaulted main living space follows the internal line of the building envelope to create a sense of height and volume, linking directly to an outside terrace to the south via large sliding glass doors. 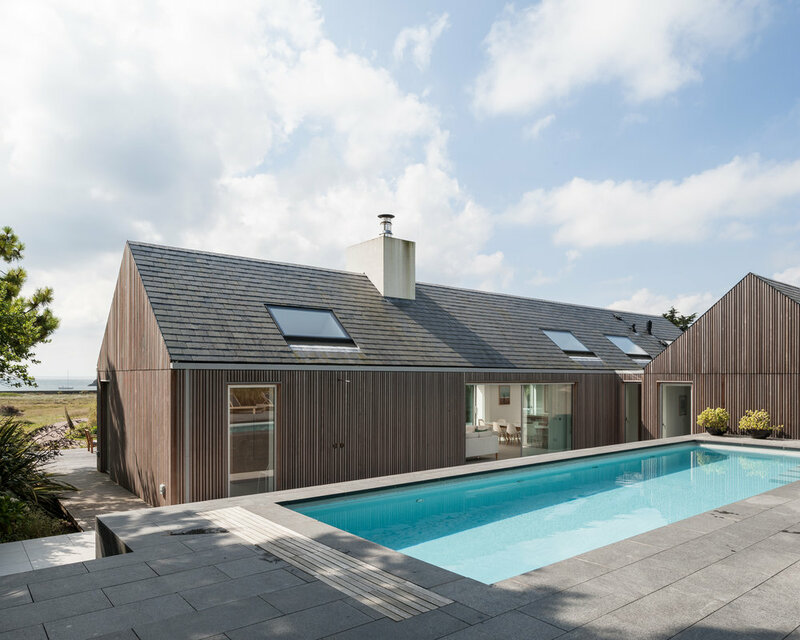 An outdoor swimming pool, sheltered from the harsher elements, is set behind the main building and is accessed directly, once again from the living room via another set of large sliding glass windows. We undertook extensive research to understand the limitations of constructing on this remote site. 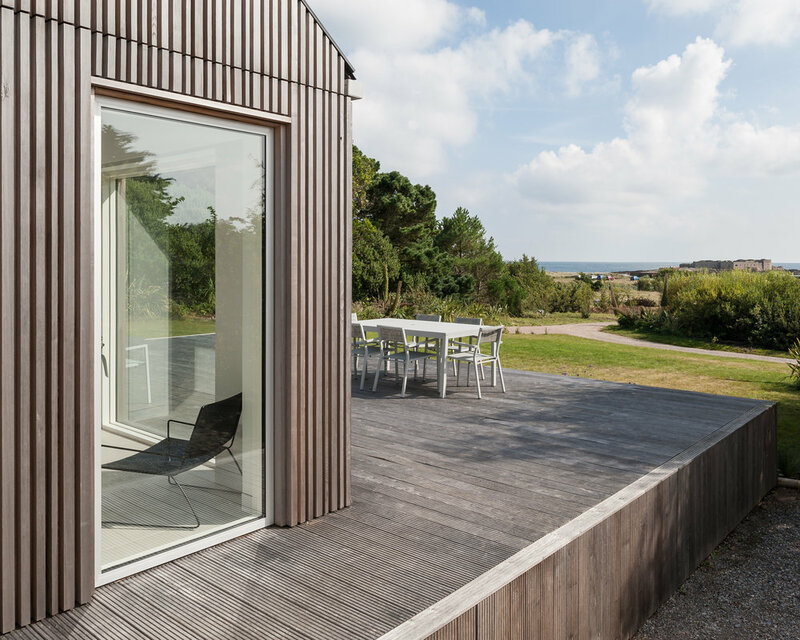 Subsequently, we utilised off site /prefabricated construction within the design of the highly-insulated building envelope and the internal fit out to create a cost effective, modern house in a beautiful remote location.